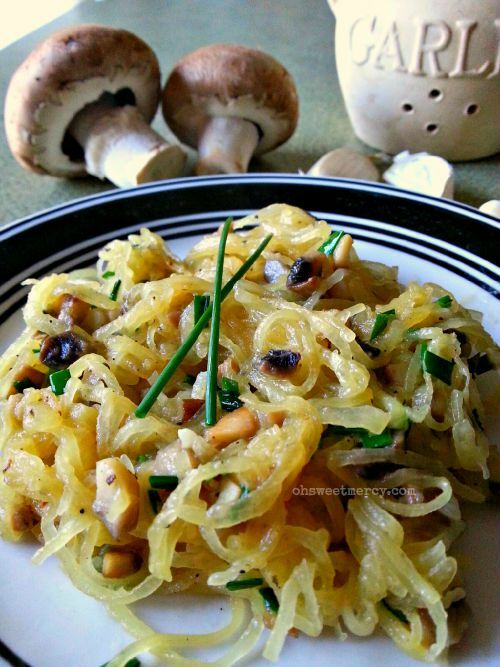 Spaghetti squash is a fantastic low-carb and grain-free substitute for pasta. 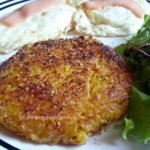 This simple side dish is flavorful and satisfying, perfect along with roasted meats or even fried eggs at breakfast. I rummaged around in there and found some leftover plain, cooked spaghetti squash. Cooking a spaghetti squash or two to have on hand makes for easy sides or meals. Simply by adding mushrooms, garlic and chives freshly picked this morning and cooking it in buttah a delicious and healthy side dish was born. Mmmmm….buttah! It paired very well with a fried fresh egg from one of our backyard chickens. What’s so great about spaghetti squash, anyway? 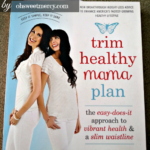 I was excited to see in the new Trim Healthy Mama Plan book that spaghetti squash is a Fuel Pull veggie. It’s low in carbs and fat, so that means you can eat liberal amounts of this glorious pasta and potato substitute! 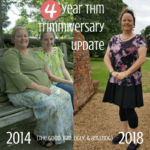 The new THM plan book is terrific – it’s a simplified and updated version of the original (read my review of that book here). While you’re at it, check out the gorgeous new cookbook too. 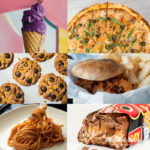 It’s full of delicious, healthy recipes. Wondering how to cook this wonder squash? I’ll tell you how in this post…it’s super easy! You might want to try these yummy spaghetti squash recipes, too. Dairy Free Cheesy Chicken, Broccoli, and Rice Bake *NEW RECIPE! If you have the new Trim Healthy Mama cookbook, make a batch of the Trim Healthy Bouillon and sprinkle some in for a single serving, or add up to one tablespoon for a whole squash-sized side dish. It really delivers amazing flavor to this simple side. 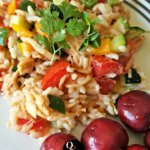 A quick, easy and simple low carb and gluten/grain free side dish that's perfect for a family meal, potluck or holiday feast. 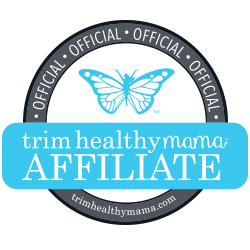 Trim Healthy Mama friendly too! Prep and cook time will vary depending on if you're making a single serving or using a whole squash. Does not include initial cooking time for the spaghetti squash itself, it's assumed that you already have some cooked spaghetti squash on hand. Baking a spaghetti squash in the oven takes 60-90 minutes so plan accordingly if you're making a whole spaghetti squash for multiple servings. 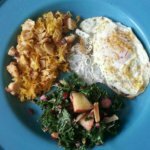 Trim Healthy Mamas, this is an S recipe because of the butter. Enjoy with low carb options and protein for a complete meal. While my recipes are not officially endorsed by Trim Healthy Mama, I do my best to ensure they meet plan guidelines. Always refer to the THM plan book for complete information. Don’t Forget to Pin this Recipe to Your Favorite Pinterest Boards! I partied at Motivation Monday with this post! You can also cook spaghetti squash in the microwave in less than 15 minutes! Pierce squash several times with fork or sharp knife to allow steam to escape. Microwave on HIGH 12 min. or until tender, turning over after 6 min. Cool 5 min. Cut squash in half. Remove and discard seeds. Use fork to scrape insides of squash to form strands; place in large bowl. Thanks for the tip! I don’t like to cook much in the microwave (I’m not convinced that it’s really good for you) except really quick things like mug cakes and muffins. But for those who don’t mind this is a quicker way for sure. Thanks for sharing! 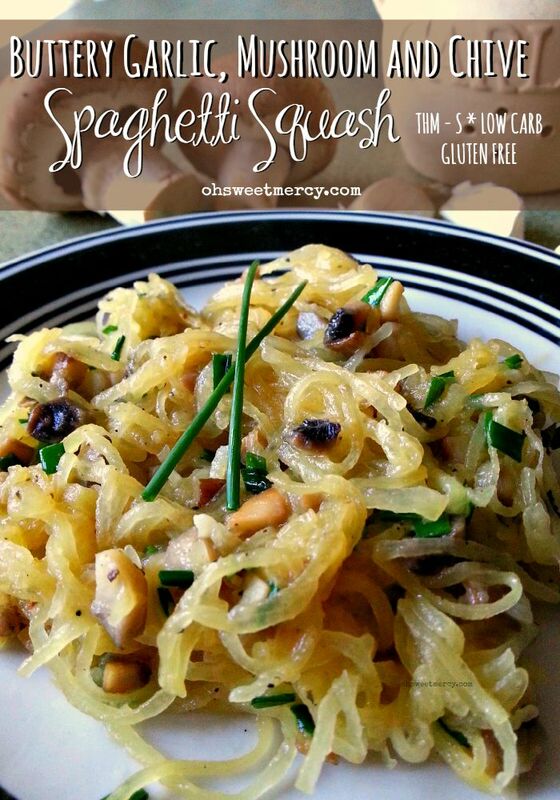 I love spaghetti squash – I wished it love me, too! Thanks so much for sharing this at Savoring Saturdays!